Adtile is on a quest to transform mobile advertising. We believe the best way to revolutionize mobile ads is to create an entirely new design that embraces the needs of mobile users and publishers by making it part of the user experience. We’ve created a mobile-first advertising solution from the ground up — challenging assumptions about how ads work and redesigning it for a world on the move. 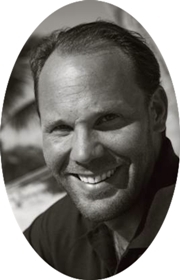 Mr. Nils Forsblom has extensive entrepreneurial background of founding innovative global online and mobile companies. He is the founder of Adtile, Photopoll, TenFarms, Fruugo and Modified Systems. Nils has invented several CoreMotion advertising activation technologies, ambient advertising and responsive advertising technologies. Nils oversees the innovation, design and product development at Adtile. CEOCFO: Mr. Forsblom, your site indicates the mission is to make mobile advertising more elegant, user friendly and meaningful. How so? What is the concept at Adtile Technologies? Mr. Forsblom: A mobile phone is a very private and user centric venue. People are not searching for ads to begin with; most people simply dislike them. Therefore, in order to make a meaningful impact in that space, you have to understand how to make the advertising experience more useful and entertaining for the end user. You have to truly understand why people are using smartphones. What kind of experiences are they looking for? CEOCFO: What is the standard today and what are you doing that is different? Mr. Forsblom: If you look at the current industry standards, all we see are still images, videos, gifs and app installs. Mobile has much more to offer. Everyone is talking about native advertising. However, to really understand the concept of what native is capable of doing, you have to go into the layers of native. That’s where we come in, layering out the native advertising into the four key components — the quintessential parts: sensors, native code, design and experience, contextual relevancy. On their own, some of these segments may work extremely well in terms of app installs or other types of platform agnostic engagements. But when they all work together, they create a more dynamic relationship between individual elements and a better, more delightful and personalized experience for the user. Storytelling, in the true essence of the word, is back. CEOCFO: Are people annoyed when they realize that it is an ad and it is not part of what they have been looking at? Why are they not annoyed? Mr. Forsblom: I think that no one really enjoys the mobile advertising experience with current formats. Because it simply does not work. I think the only aspect where it really works and drives meaning to the advertisers are app installs. That is a platform-agnostic advertising experience. However, when it comes to brand advertising, if you are just adding a single image, animated HTML5 or a video into the app stream, there is nothing new about it. Therefore, people are really annoyed by it if there is no experience. What we are doing is trying to elevate the storytelling by giving them something new, something delightful, something that they can really say, “Hey, I am okay with this.” And it actually changes the metaphor of what advertising could mean for mobile, which is more of an experience rather than just showing a set of scalable ads, which no one really wants to see. You asked the question, are people annoyed. We are trying to get past that by bringing something that will not annoy them, where a user can actually feel, “Hey, this is fun. This is delightful. I can interact with this thing.” Therefore, we are trying to bring that playful part into the advertising. CEOCFO: Is your system in use today? Are you working with clients now? Where are you in the process? Mr. Forsblom: We are working with multiple clients in North America, South America, Europe and we are also slowly extending our operations to Asia. We only serve white label solutions. We are licensing our proprietary software solutions to brands, ad networks and agencies. CEOCFO: Have people been looking for a better solution? Are they aware that a solution like Adtile exists or is possible? Mr. Forsblom: Ever since Apple and other hardware manufactures introduced more sensors into the smartphones, nobody really understood the great opportunity this would be for mobile advertising. We made a conscious choice using the GPS, gyroscope, motion coprocessor, accelerometer, digital compass and other sensors to drive users' new experiences and entertainment. They are the perfect tools to create meaningful and elegant brand stories with the right use flows and design constraints. CEOCFO: Your sample ads are quite engaging. I am guessing it is very easy for your potential customers to understand your product? Mr. Forsblom: Our company has a core philosophy of putting the end user first. We are not that focused on the advertiser or the publisher, because if we get the user experience right, if we get people engaged, it will completely resonate back to the advertisers and publishers as fantastic results. Therefore, we really focus on asking the right questions in the process, “What does the end user really want?”, “Does this add any value?” “How does it make people feel?”. We ask all these questions when creating something new. We make sure our intention is extremely focused. We truly care how people feel. CEOCFO: How do you reach potential clients? Mr. Forsblom: Adtile has pioneered a new concept for mobile advertising, which creates a natural interest in the space where everything is mobile first. We have a great deal of demand coming naturally towards us. We are reaching out to potential partners ourselves, when we see a great benefit for them as to create new experiences and add real value for their customers. CEOCFO: What is your revenue model? Mr. Forsblom: We have a solution that is free to use and we share revenue with the publishers or operators. Then, we have a licensing model for our proprietary Motion Ads technology, software and design solutions for companies. That model also has a revenue share. There is no more software as a service where you just charge a monthly fee or a yearly fee and you do not care about your customer. Your interest has to be aligned with your customers in order to actually meet the demand of the next generation of companies who need your solutions. Mr. Forsblom: We are in a happy place. We are doing something completely different from the rest of the pack. We do not have those constraints of conforming to standards, which are currently very poor and lack innovation. When holding a modern smartphone, the current ad standards and formats look ancient compared to the device. Globally, mobile application revenue is topping mobile ad revenue and accounts for 68 percent of mobile monetization. It works since it's platform-agnostic marketing. It drives tangible value. Video ads work on a mobile device, but it is nothing new. All this offers us a great opportunity where quality of mobile advertising and brand experience is neglected. When people say mobile screen size is the problem, we see that as an opportunity, since you get the user's full attention when creating in the right format, design and experience. There is so much untapped opportunity. CEOCFO: How do you keep it fresh for each client or is it up to them to decide what direction to go? Mr. Forsblom: When we started developing the whole solution, we did not just develop the technology or specific use cases. We developed the whole concept around it; how the interaction should work, how the design should work and how the overall user experience should work. We have very specific guidelines for everything. The sky is the limit of creativity for what you can do. App stores gave developers a framework to build beautiful and useful applications. Our vision is do the same with mobile advertising. We give the creation tools, development and design documentation, the framework of how the design and interaction should look and feel, but yet we leave it up to them to decide how the brand experience will work based on our creative guidelines and API’s. CEOCFO: Are there areas globally that are more receptive than others? Mr. Forsblom: I think that in the United States and Asia, markets are more accepting of new concepts. I think Europe is a very good market, but Europe always kind of lags behind on adapting new things. I think United States really thrives on innovation, is willing to try new ideas and is willing to take chances. CEOCFO: How might Adtile be different a year from now? Mr. Forsblom: We are a pure intellectual property company. It’s all about the ideas and how we can turn those ideas into actual products. Right now we have sixteen patents and patents pending on our core solutions. We patent everything that we do, every single core innovation. We are working on some things that are very futuristic for today's world, but we are trying to make them as human-centric as possible. I think the company is peeling its layers as it goes along; identifying where it can really make an impact, such as smartwatches. Today you really have to make something outstanding to get people’s attention. That is what we are trying to do. That is what Adtile is trying to achieve as a company. CEOCFO: Why should people pay attention to Adtile Technologies today? Mr. Forsblom: It is simple. I think it is by far the sexiest and the most human-centric mobile advertising solution in the market.